The songs in this collection came together as part of a challenging artistic experiment. Over the course of one year (2011) we wrote, recorded, and sent out one new song a month to our listeners and fans as digital downloads. This album is a COLLAGE of those musical styles and lyrical perspectives, all held together by the one thread that runs throughout: The language and harmony of the Heart. This album comes with a beautiful 34 page companion booklet, “Stories Behind the Songs,” which includes lyrics and insights about the origins of each song. 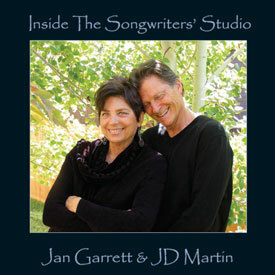 Download "Stories Behind the Songs"
Click a song title once to listen to the track and read the lyrics. He gave it back to the man and said, ³I believe this belongs to you." ³God is Lover, Beloved, and the loving in between.